Please use the jobs board view available positions, then the contact form below and be sure to include the position you’re interested in. Assisting with the administration of a growing digital marketing agency and business growth consultancy in Impington, Cambridge. We are looking for a proactive, problem solving, enthusiastic and positive person with particular set of office administration skills to join our team. Reliable and consistent with a professional attitude. Confident on the telephone and prepared to meet clients face-to-face (when they occasionally visit our office). Fully computer literate with accurate typing skills. Able to follow systems and procedures. Excellent communication skills (written and spoken). Excellent attention to detail including proof reading skills. Willingness to take on tasks as required and the willingness to learn. Experience of using CRM software an advantage. Ability to participate and attendance at occasional marketing exhibitions at various locations. An appreciation of aesthetics, images, art and photography would be useful but not essential. Application must include a covering letter indicating if applying for a full time or part time position, along with a CV. Work references are required. Overseeing the running of a growing digital marketing agency and business growth consultancy in Impington. We are looking for a proactive, problem solving, enthusiastic and positive person with particular set of office and business skills to join our team. The successful candidate will work closely with the CEO, the Administration and Finance Director and the Technical Team. Must be confident on the telephone and meeting clients face-to-face. Must have excellent communication skills (written and spoken). Must be fully computer literate with accurate and fast typing skills. Must have excellent attention to detail including proof reading skills. Must be able to follow systems and procedures. – to establish if there is a current or future requirement for our services. Ensuring that the sales team has all the relevant information prior to making the call/going to the meeting. Being main liaison contact between the client and the technical team throughout each project. Supporting the Technical Team as necessary. WebWorksWell specialise in providing market leading digital services to small and medium sized enterprises throughout the UK. Although we are currently a small company, the ambition of the business is to become one of the leading digital agencies in the UK and this is an exciting time to join this growing enterprise. We are a full service digital agency with a range of services including simple web design, complicated digital platforms and effective e-commerce solutions, social media, digital marketing, strategy, branding and sales optimisation. An exciting opportunity has arisen due to company growth: we require an accomplished and multi-faceted individual to help drive the business forward. The successful applicant will lead a team of technical professionals to ensure that our award winning products are delivered to a high level of customer satisfaction within timescale and budget. The Digital Project Manager will collaborate with internal teams and stakeholders to deliver end-to-end digital projects. They will work closely with the company directors and the creative design and technical teams, making sure that all digital projects run in an effective and efficient way. The position will be key in forming strong relationships with clients and regularly communicate with the directors concerning costs and timelines. You will have the chance to develop your digital project management skills. To apply for this role, you should have 2 years’ experience working as a successful Digital Project Manager managing a range of digital projects, either agency or client side. • Be accountable for the delivery of digital projects, managing brief, budget and schedule and working closely with stakeholders and teams. • Be accountable for creating project documentation and resource planning through to a variety of projects from digital delivery, UX, digital content, along with web and app builds. • Work with senior management to define project goals and scope in collaboration with the wider business goals. • Project manage cross-functional teams of developers, testers, UX, content and creative. • Update relevant stakeholders on the status of projects and contribute to process improvement. • Form strong relationships with clients and the digital teams. • Manage internal and external project resources. • Work with and support developers, bridging the gap between the technical teams and the stakeholders. • Assist company directors in the development of tenders and technical proposals providing realistic and achievable technical solutions within clients’ specifications. • Undertake thorough QA testing on projects, to make sure the final delivery meets requirements. • Identify skills gaps within the team and suggest solutions. • Identify and manage risk. Do you want to be part of a company which is serving one of the UK’s main B2B markets? Are you looking for a sales position with unrestricted growth potential? Would you like to work for a company which helps other businesses to grow and succeed, by delivering market-leading digital services at affordable rates? WebWorksWell.com are a digital agency in the Cambridge area, who aim to become the UK’s leading web design and digital marketing agency over the next 10 years. We are offering an opportunity for individuals who want to grow and develop, to join our growing team as sales executives selling our services to the SME market. have a proven ability and resilience to consistently make a high volume of sales phone calls (50+ per day). be an effective communicator on the phone, in person and in writing. You will need to qualify leads and tailor the solution, from a portfolio of products. You will need to be able to complete the sales process from initial contact to closing the sale. enjoy organising and managing your own time, including keeping accurate sales records and reports. have the ability to attend networking meetings outside of normal office hours. have your own car and be willing to travel to meetings within a 30 mile radius of the office. be able to be accountable for your own actions and results. be goal driven and success orientated. have a positive ‘can-do’ attitude and good attention to detail. If you would like to apply, please attach a covering letter and CV. WebWorksWell.com is a trading name of HiTeam®. HiTeam® is a caring employer. 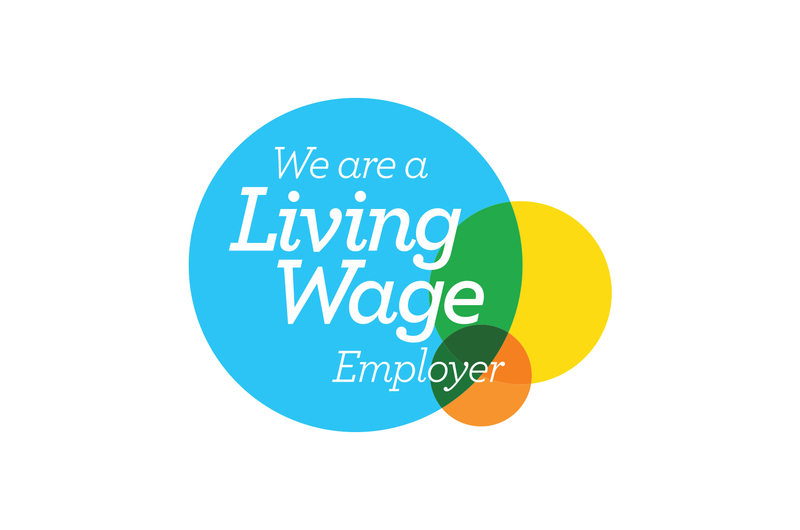 HiTeam® is a real living wage employer, gives 10% of its profits to charity and wants to attract people who have a desire to deliver top quality services to other people and organisations. If it sounds like you, we want to hear from you. We’re successful, we continue to grow, and we aim to be the best place you’ve ever worked. Please see the jobs board below to view current available positions. You’ll find that we are the best place to work! – who can work as a team. Find out about the team you’ll be joining here! Please contact us below regarding the position you’re interested in and we’ll be back in touch.